I recently wrote a blog addressed to “real conservatives,” now I’m going to address their weird, quasi-cult ring leaders. I’m talking about Hannity, Ingraham, Levin, Coulter, Rush, Drudge, etc… If Anchorman taught us anything, it was clearly that those in the news can be really, really stupid. Paul Ryan is expected to be voted in as speaker tomorrow, and the third GOP debate will take place tonight. Countless conservatives will watch on Twitter as their favorite conservative celebrity commentators live tweet their opinions on Ryan, or simply highlight what they feel is pertinent in the debate. In the coming days, these “leaders” will give their opinions to their faithful following, and many will take their words rather seriously when judging the candidates themselves, or Ryan’s ability to do the job of speaker. The problem is that many of them have become no better than DailyKos, Salon, and the like, in terms of telling us the unbiased truth. If I can bring myself to complement Trump on one thing, and one thing only, he has separated those of good character from frauds. The con artists from the decent. The hustlers from the trustworthy. The swindlers and charlatans from those who still have some semblance of dignity. He put juicy steaks on display and waited for the wolves to relieve themselves of their costumes. And they did. En masse. This comes at a time when conservative media is following the trend of click bait journalism. Even a lot of well known – trusted sources – have turned the direction of fishing for readers. This gets you readers, but it gets you the kind of readers who are only interested in the shock and awe articles. Articles like “LFP at a 35 year low” aren’t going to get the clicks they want, and that’s what it’s all about these days. However, articles like “Paul Ryan will burn down the House and take you with him, here’s why….” will bring a tsunami wave of clicks from those who no longer want things fixed, but instead want revenge. Ingraham, Hannity, and Limbaugh have completely betrayed conservatives for the sake of Donald Trump. They've all lost credibility. That’s pretty much what’s going down. I’m convinced that they don’t want to win the White House, and maybe they just want to destroy the GOP. A Democrat president bumps their ratings, increase book sales, etc., because there’s always a great calamity to cover and drivel on about. A Hillary Clinton White House would be a goldmine for “conservative” hosts, if you think about it. The more I pondered their recent turn to the dark side, the more I realized that if we did elect a great leader who was able to reverse the downward spiral we’re on, the conservative commentators who have made a mint off of an increasingly attentive and worried populous would lose some of their greatest sales pitches . I’ve tried to figure out why they would betray their followers, and that’s honestly all that I can come up with. I refuse to believe that these charlatans are simply ignoramuses, I fear they’re more than likely money hungry strategists. So, I’ll get to the purpose of this post. I’m going to give some recent examples of blatant stupidity that I refuse to believe was crafted inside insane minds, because they’ve shown better judgement in the past, but are instead a play on a populous hungry for vitriol – and starved of commonsense – by a group of people who have found that dishonesty comes with a much larger paycheck. For some reason, Laura Ingraham reminds me of mid-transition Smeagal/Gollum. Not in looks, of course, but in her level of admiration for Trump. I get the feeling that she’s aware of her own foolishness, but she’s so drawn to whatever it is that’s calling her to him – be it money or delusions – that she doesn’t care. She’s at that point where maybe she can be saved from becoming full on Coulter, eating raw fish like a barbarian on the riverbanks, but even if she stops now she’s past the point of returning to her previous level of credibility. Like someday we might let her back in the house to visit, but she’s never going to be babysitting the kids. Yeah, Ryan, how dare you want to raise your children! Laura then referenced famous leaders throughout history who were forced to leave their families for the good of the country. John Adams left his wife for years at a time to serve his country. George Washington left Mt Vernon for Valley Forge. You know, back when we communicated by pen, quill, wax stamp, and horse. Long before we had TV’s, phones, and cars with heated seats. So, because he wants to tuck his kids in on the weekends, you’re going to drag out men who had to leave home in order to have conversations that didn’t involve sending a handwritten letter on a month long excursion over land and water? Now we have light switches, glorious cake-pops, and modes of transportation that will not only get you somewhere, but they’ll also get you there without frostbite and the black plague. High five for innovation, Laura! We’ve advanced so much since the days of bloodletting, that I was even able to use the interwebs to see what Ingraham said back in 2012 when Romney picked Ryan as his running mate. Levin, a long trusted name in conservative circles, has made what might be the most drastic flip-flop in history. For many it has been as disturbing as it would be to watch Aslan maul Lucy into lion kibble. He’s the Sybil of political talk radio hosts. Who will we get today? Sybil? Peggy? Sid? 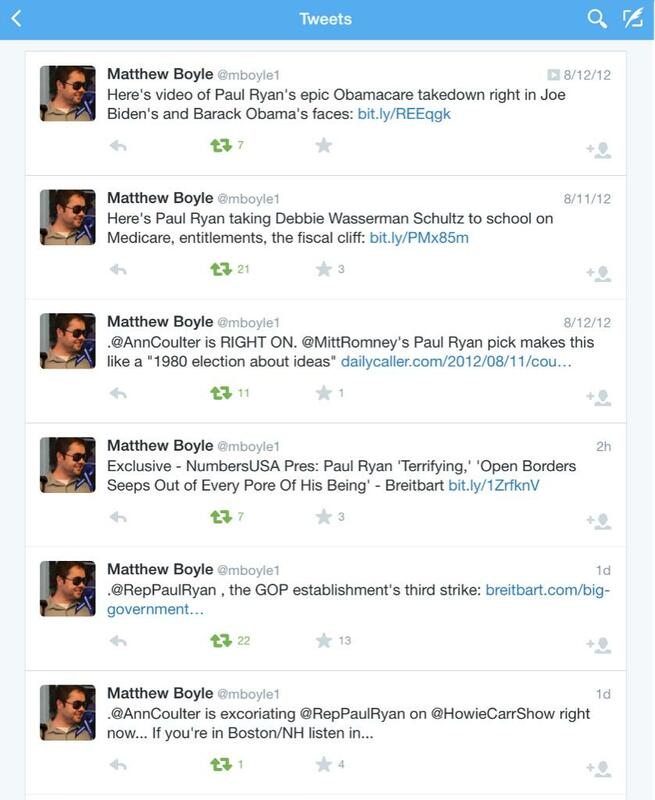 Oh, and Levin is going after Paul Ryan now, as well, because that’s the new and edgy thing to do, even though back in 2012 he couldn’t stop talking about how principled, knowledgeable, and conservative Ryan was. As I said above, a unified party that actually accomplishes something is a threat to people like Levin. It’s a threat to anyone who makes money off of ratings and clicks, and times like these show us who is led by a moral compass, and who is led by their bank account. Levin has made his flip-flopping, elitist pandering position clear. The principles he once vehemently stood in protection of have now been sacrificed to the gods of party suicide. To make matters worse, people are rushing to buy his rubbish. For example, I remember seeing a mass number of tweets on Levin’s opinion that Donald Trump’s tax plan was “Reaganesque,” yet I’ve yet to hear him answer who is going to pay for the increase in government size. Deportation, walls, socialist healthcare, etc., are plans demanding of funds that Trump’s “Reaganesque” tax plan doesn’t account for. Basic economics tells you that lower taxes must come with spending cuts. Trump is touting extreme spending increases, and massive tax cuts for everyone; NO one with any commonsense, especially Levin, is dumb enough to buy this idea as doable. Levin has consistently called out those who believe the “no WMDs” narrative, but he left Trump unchecked in this interview when he said WMDs were never found. Betrayal, friends, that’s what that is. Disclaimer: I’ve stopped listening to Levin, so if he has addressed the issues above, please post the link in my comments and I’ll make corrections. Drudge and Breitbart were once trusted names as well, but they’ve done a complete 180. Below is a sample of Breitbart “truth” sharing. After a quick name search of Donald Trump and Paul Ryan, you can see that they’re not trying to bend your opinions of politicians at all (she said sarcastically). Drudge and Breitbart are, in essence, the new Pravda of the “real conservatives” who now support big government, socialist healthcare, and punishment for dissenters. 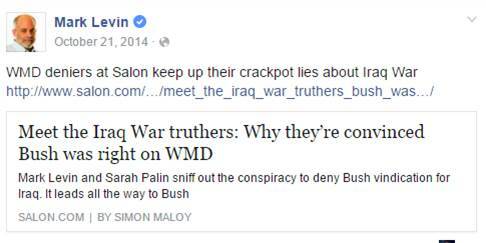 Hannity has a really good reason to love the man he believes predicted the 9/11 attacks. He’s been a fan of Trump’s for years, which at least means he’s consistent. Consistently ridiculous, but consistent. He stood for small government, property rights, etc., yet now he’s playing apologist for the candidate who represents all that is powerfully retched in big government. These are not the people we had come to trust, they have betrayed their following. I truly hope that when people watch the debates they research the facts on their own, and stop crawling to their favorite political pundit, radio host, and commentator for their information. Many of them are now in it for themselves, and if Trump gets the GOP nod, or *gasp* wins the election, they’ll be making a mint off of the chaos that ensues. I don’t demand that people conform to my opinions, nor my candidate of choice. I do ask that people be careful when retweeting and depending upon the information being given by those above, who have proven themselves to be dishonest. We all make mistakes, but they haven’t just made mistakes, they’ve abandoned the principles they once stood for, and they’re not alone. Our country is in desperate need of a change, do your homework so that you can help make the right one. ← Is Marco Rubio Pulling a Peter Gibbons? Reblogged this on The Conservative New Ager. Can’t see me, but I am standing and applauding. So many of these things baffle me. Rush rails on and on about low information voters, but when we get the information on Trump after research, it now doesn’t matter because we are wrong. Thanks for reminding me to think for myself again. Exactly! When there only argument boils down to “your wrong,” you know it’s getting bad. Being loud doesn’t make them right! Excellent article and it is very truthful. You should listen to Michael Medved.. Thank you! And I’ll look him up! This article was by far one of the funniest things I’ve ever read! Great job, my friends all thought it was pretty damn funny too! Love hearing that! Thank you for reading!